Akamai Technologies, Inc. (NASDAQ:AKAM) shareholders have witnessed an increase in activity from the world’s largest hedge funds lately. 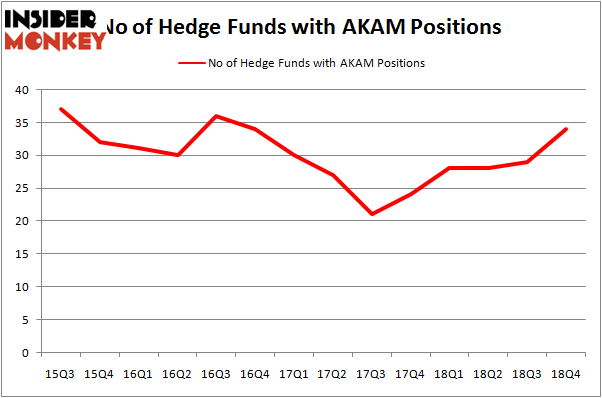 Our calculations also showed that AKAM isn’t among the 30 most popular stocks among hedge funds. We’re going to take a peek at the key hedge fund action regarding Akamai Technologies, Inc. (NASDAQ:AKAM). How have hedgies been trading Akamai Technologies, Inc. (NASDAQ:AKAM)? At Q4’s end, a total of 34 of the hedge funds tracked by Insider Monkey were bullish on this stock, a change of 17% from the previous quarter. Below, you can check out the change in hedge fund sentiment towards AKAM over the last 14 quarters. With the smart money’s capital changing hands, there exists an “upper tier” of noteworthy hedge fund managers who were increasing their holdings meaningfully (or already accumulated large positions). More specifically, AQR Capital Management was the largest shareholder of Akamai Technologies, Inc. (NASDAQ:AKAM), with a stake worth $239.1 million reported as of the end of September. Trailing AQR Capital Management was Elliott Management, which amassed a stake valued at $145.6 million. Millennium Management, D E Shaw, and Citadel Investment Group were also very fond of the stock, giving the stock large weights in their portfolios. As industrywide interest jumped, key hedge funds have been driving this bullishness. Oaktree Capital Management, managed by Howard Marks, created the biggest position in Akamai Technologies, Inc. (NASDAQ:AKAM). Oaktree Capital Management had $68.7 million invested in the company at the end of the quarter. Paul Glazer’s Glazer Capital also made a $48.7 million investment in the stock during the quarter. The following funds were also among the new AKAM investors: Brandon Haley’s Holocene Advisors, Anand Parekh’s Alyeska Investment Group, and John Osterweis’s Osterweis Capital Management. 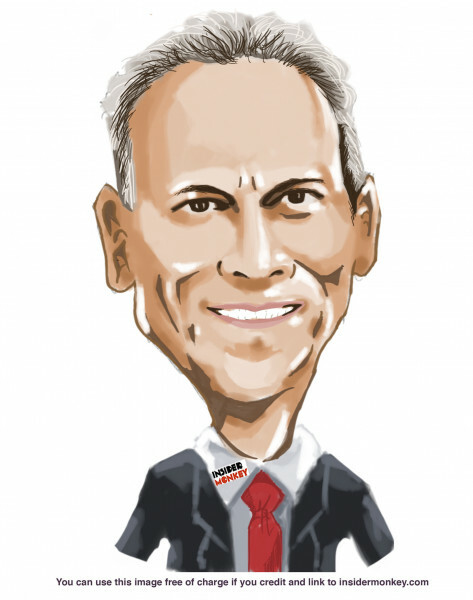 Let’s go over hedge fund activity in other stocks – not necessarily in the same industry as Akamai Technologies, Inc. (NASDAQ:AKAM) but similarly valued. We will take a look at Regency Centers Corp (NASDAQ:REG), Campbell Soup Company (NYSE:CPB), National Oilwell Varco, Inc. (NYSE:NOV), and PTC Inc (NASDAQ:PTC). All of these stocks’ market caps resemble AKAM’s market cap. As you can see these stocks had an average of 24.25 hedge funds with bullish positions and the average amount invested in these stocks was $774 million. That figure was $903 million in AKAM’s case. PTC Inc (NASDAQ:PTC) is the most popular stock in this table. On the other hand Regency Centers Corp (NASDAQ:REG) is the least popular one with only 15 bullish hedge fund positions. Compared to these stocks Akamai Technologies, Inc. (NASDAQ:AKAM) is more popular among hedge funds. Our calculations showed that top 15 most popular stocks among hedge funds returned 19.7% through March 15th and outperformed the S&P 500 ETF (SPY) by 6.6 percentage points. Hedge funds were also right about betting on AKAM, though not to the same extent, as the stock returned 18.6% and outperformed the market as well.